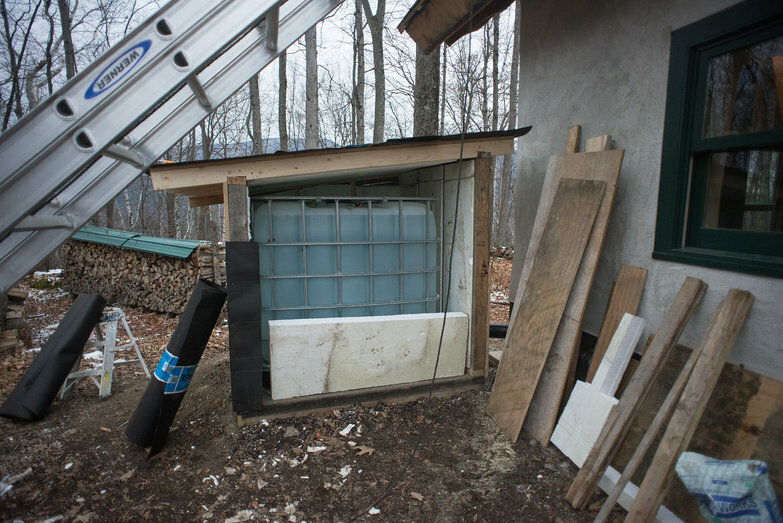 Last fall, I wrote about the water situation for our cottage, documenting why we have an above-ground cistern next to the house rather than a water line from our well. 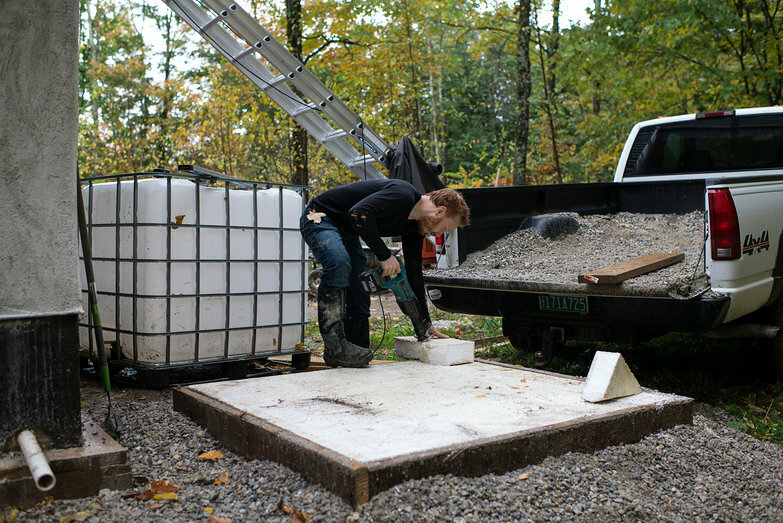 When I wrote the entry, I was building an insulated shed for our water storage, and I was cautiously optimistic that we'd manage to keep it from freezing with the help of a small propane heater. 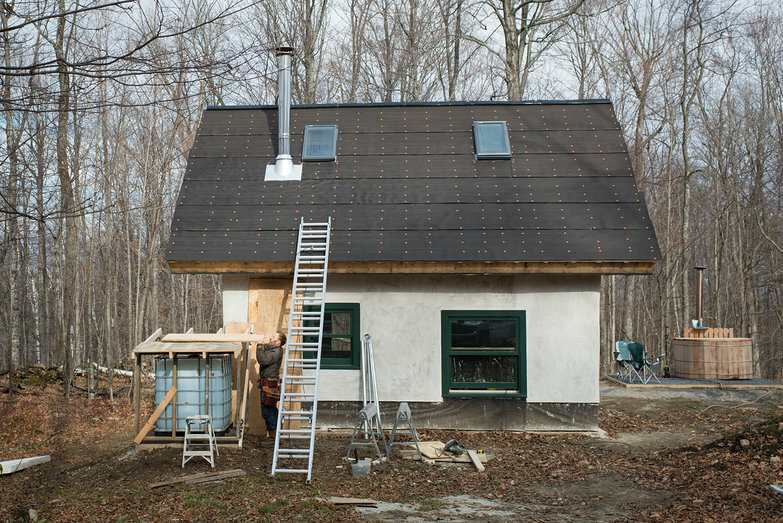 At the time, Tara and I were pretty burnt-out on building—we'd been working relentlessly for the better part of a year to get our cottage habitable in time for winter. 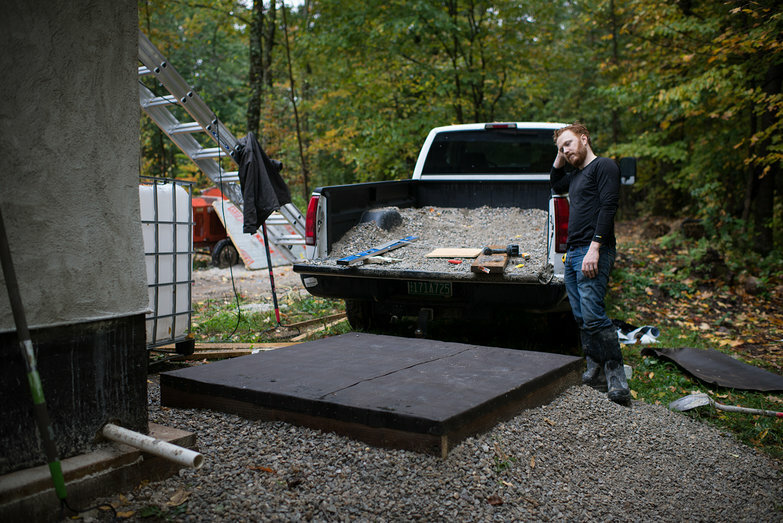 As a result, the structure I built was a haphazard, semi-temporary thing, assembled quickly and cheaply using scrap wood and leftover foam insulation from the foundation of our cottage. It wasn't long until we learned the effort was an abject failure. 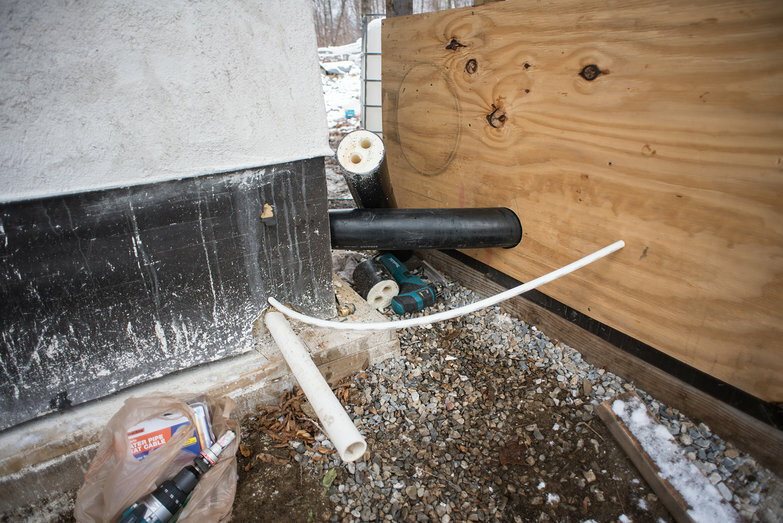 The short water line between the shed and our house froze solid as soon as the temperature dipped below freezing. Adding insult to injury, the structure wasn't airtight, so the propane-powered space heater we installed did little more than warm the air around the building. Neither of us had the wherewithal to attempt fixing it at the time. In the end, going without running water through winter wasn't a huge deal, mostly because we'd just spent the last two years living in a camper without the luxury. A few more months of using a five gallon water dispenser and heating water on the stove for dishwashing didn't feel like much of a hardship. Thus, we survived one of the coldest winters on record with relative ease. Come spring, we were a lot wiser and only a little worse for wear. Well, it stinks that your first solution didn't work out, but I also wanted to say that I appreciate you two posting your low points in addition to all the good stuff. 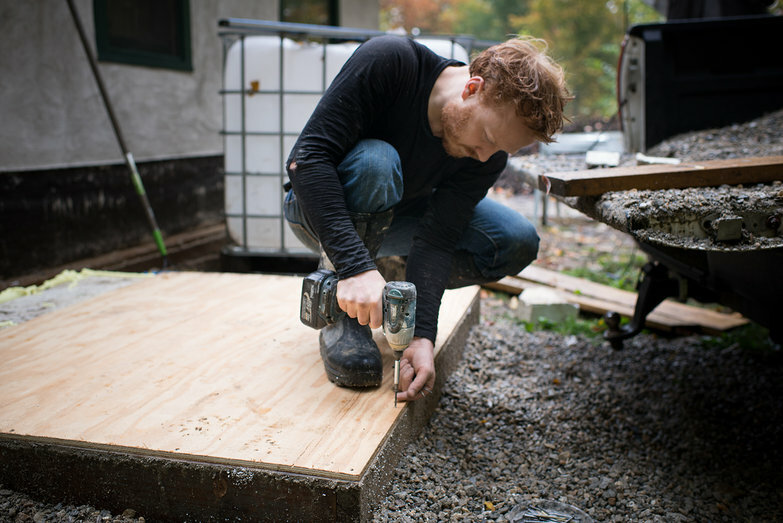 It's helpful to read about how it's not always easy, especially now that Seth and I are in the middle of our own build. Looking forward to hearing about what you're trying going forward! Freezing is freezing, the only passive solution I know is to bury things bellow the freezing line (80cm in my case). In the same approaching-winter-run I have spent the last month digging and covering hoses and containers for my water system. 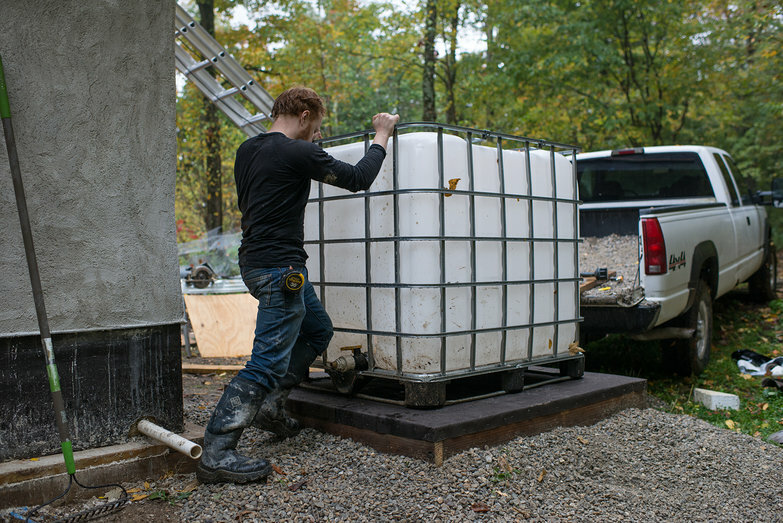 For the IBC 1000l container used for rain collection I use a small 12V pump to pump the water back into the house since the container is covered with a 40cm layer of dirt. I just found this site and am also building a water system for a mobile home where pressure is low. I am thinking of using a good submersible aquarium pump to circulate the water preventing it from freezing... as well as an insulated shed.